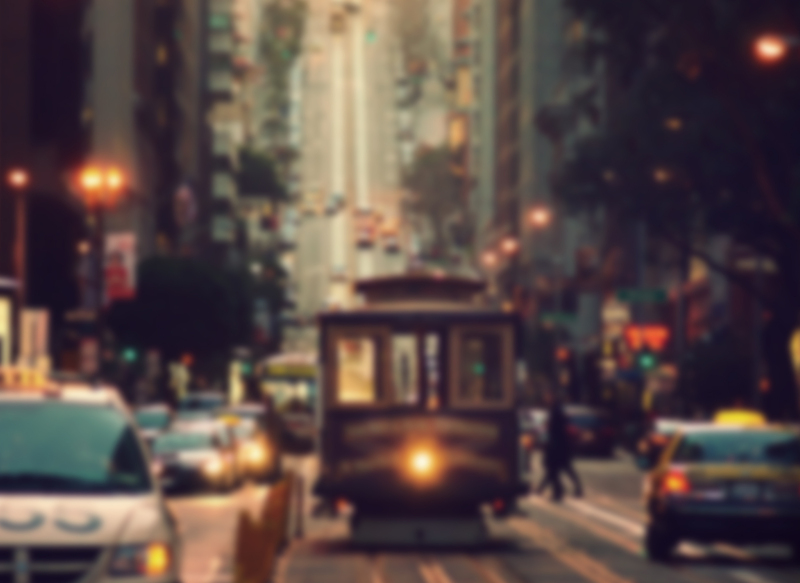 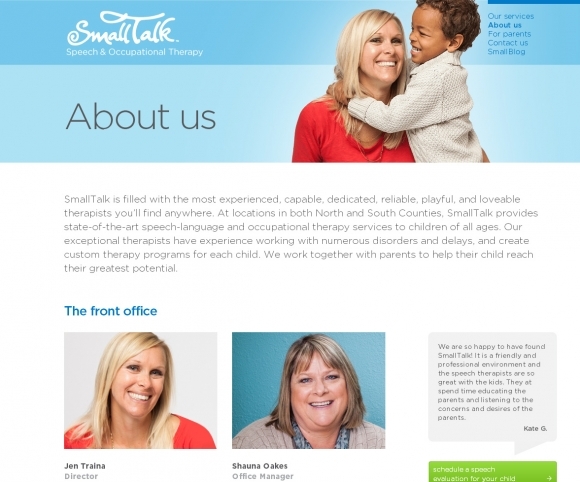 SmallTalk is filled with the most experienced, capable, dedicated, reliable, playful, and loveable therapists you’ll find anywhere. 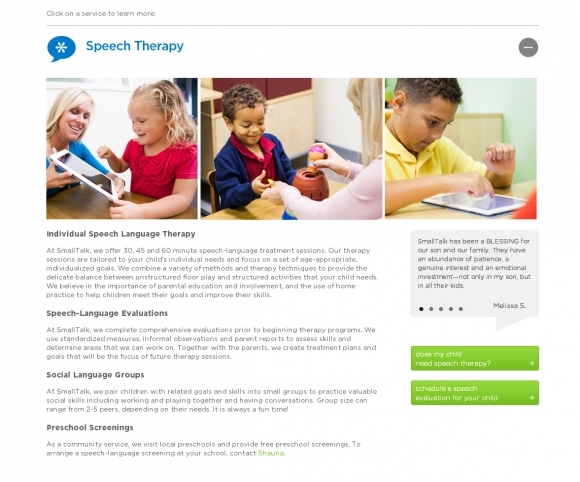 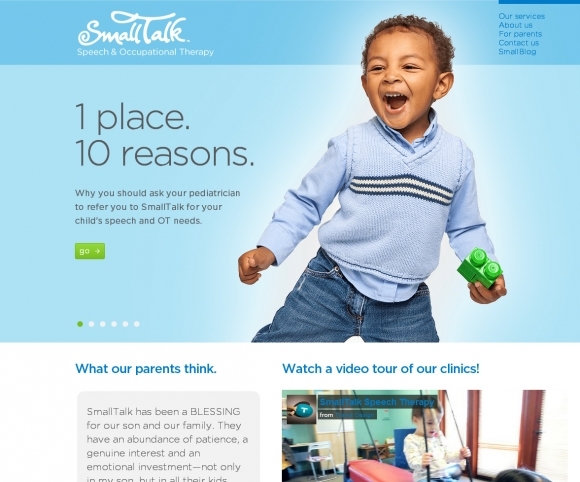 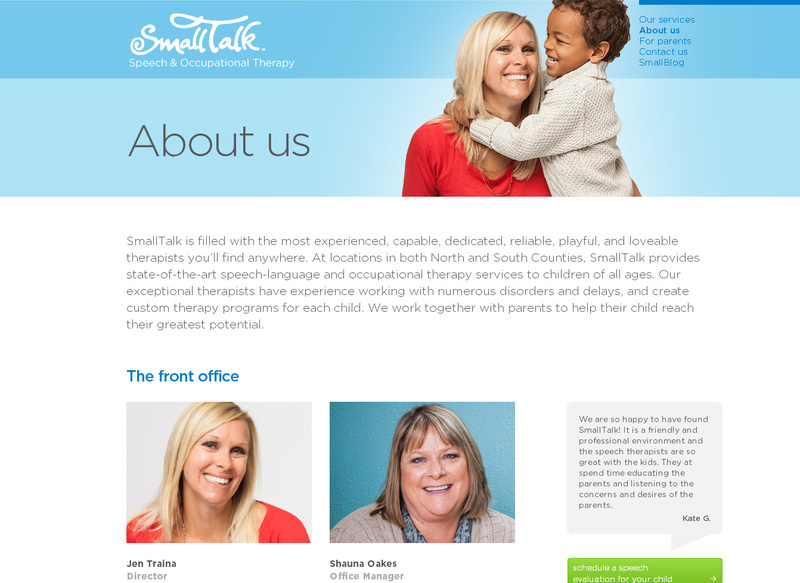 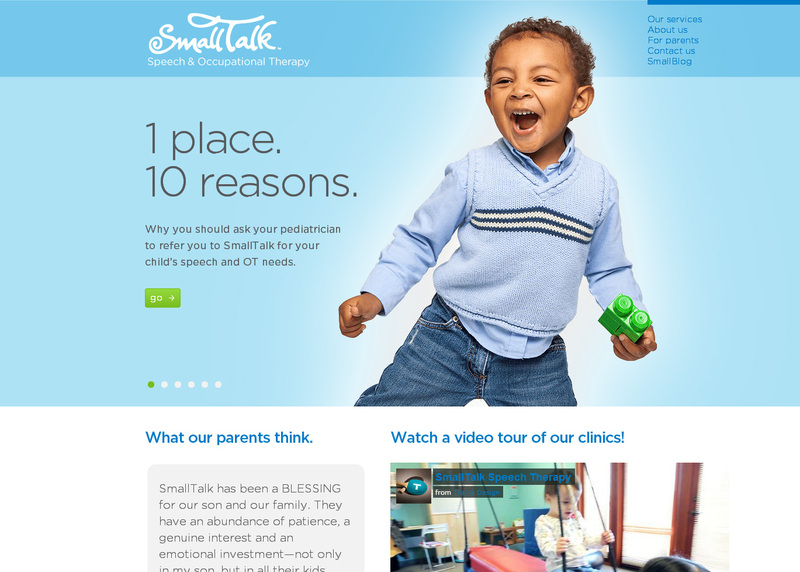 At locations in both North and South Counties, SmallTalk provides state-of-the-art speech-language and occupational therapy services to children of all ages. 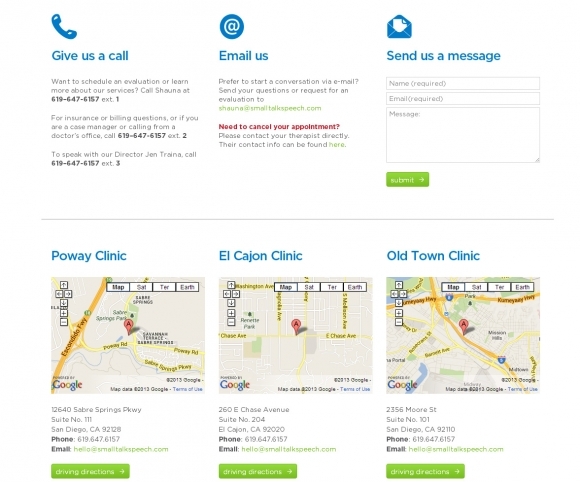 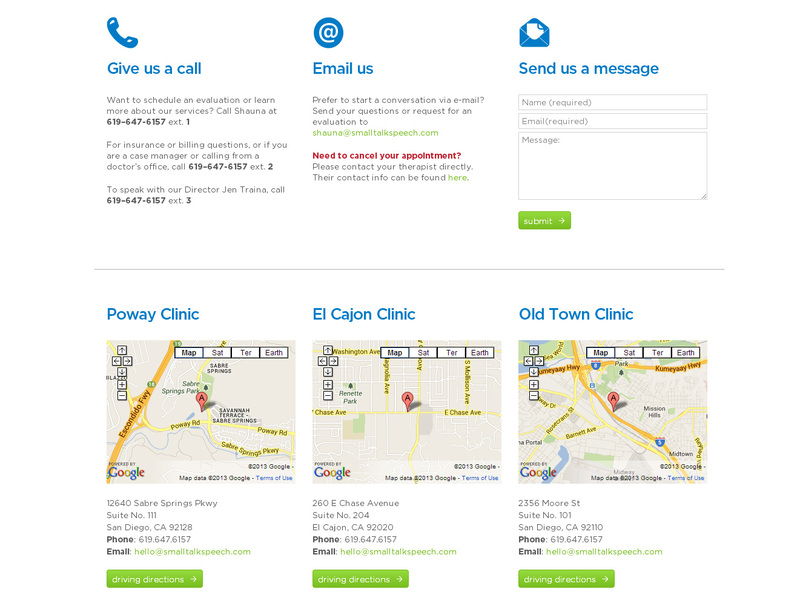 We built this website in partnership with Traina Design.